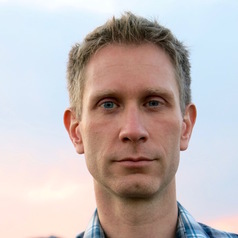 Michael P. Oman-Reagan is an anthropologist and Vanier Scholar at Memorial University and an affiliated researcher at the University of Victoria, Canada. His research examines exploration beyond our solar system through SETI, interstellar spacecraft, and astronomy. Working with interdisciplinary research communities, he aims to understand how science helps us imagine and build better futures on Earth, in our solar system, and beyond. His research is supported by the Social Sciences and Humanities Research Council of Canada. “Planetary Perspectives: Space Exploration and a New World View”, In Cultural Anthropology: A Perspective on the Human Condition, Emily A. Schultz, Robert H. Lavenda, and Roberta Robin Dods. Oxford University Press.